Find out what an Orange Sky kind of day looks like.. Ever wondered where we get our water from, how we get the machines to work and where on earth the name 'Orange Sky' came from? Look no further, we've answered all your burning questions. How long does a van build take? A van build can take anywhere from 2-5 weeks, depending on what type of vehicle it is. Typically though, we're a lot quicker at building laundry vans because they currently make up two thirds of our fleet. Did you know that our first ever laundry van, Sudsy, is no longer operational but lives in the foyer of our front reception in Brisbane? What are the biggest problems you encounter? One of the biggest challenges we face when building a van is managing to fit everything in! Packing in all of our equipment can be a pretty tough job for our workshop team - it's almost like a game of Tetris but with washers, dryers, shower units, pumps, water tanks, a generator and a 12V control system (just to name a few items!). What type of vans do you use? There are currently two types of vehicles we use; a Volkswagen Transporter for our laundry vans, a Mercedes Sprinter for our shower and hybrid vans. Are your vans Sun Safe? Each one of our vans has a retractable awning, which helps to protect our volunteers and friends from the weather. 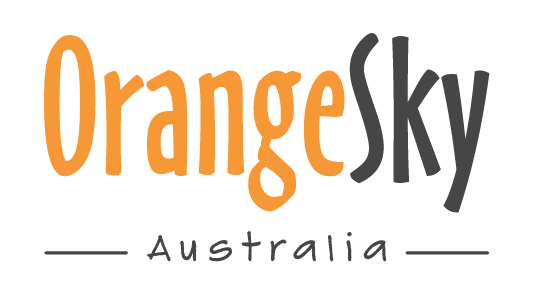 We also have sunscreen on board every van, and our custom-printed Orange Sky t-shirts worn by volunteers have been approved as Sun Safe by the Cancer Council Queensland. How much washing can you do? What about power and water? We are able to plug into power and water at a lot of our shift locations, but if this is not an option, it doesn't stop us from being able to operate. All of our vans have on board water tanks and generators, which means we are able to operate anywhere in Australia without needing access to power or water. The water tanks in our laundry and hybrid vans are 270 litres, which is about six loads of laundry, while our shower vans have 500 litre tanks, allowing for 15-20 showers. Before every shift, we fill up our clean water tanks, and after shift, we empty the grey water directly into a sewer point. Do you need to put detergent in the machines? Every time a washing cycle starts, a liquid detergent is automatically dosed into the machines. All our volunteers need to do is put laundry in to the machine and press go! We are also lucky enough to have all our washing detergent supplied Australia-wide by a specialist organisation. Each van has set locations and times in which it operates. We always partner with local service providers in areas with the highest need, and ensure that we set up at locations where our friends feel most comfortable. Check out our locations page for more information. Why are your six orange chairs so important? The major impact of Orange Sky does not rely on washers spinning or dryers tumbling. It happens on our six orange chairs, which are pulled out at each shift in every location across Australia. It is here where our volunteers and friends are able to connect through genuine conversation - sometimes they chat about the weather, other times it's about what happened in the league over the weekend. Regardless of the topic, it's providing a positive connection back to the community for a person doing it tough. What will people do while their clothes are being washed? In the time that it takes to wash and dry a friend's clothes (about one hour), there's not a lot to do but sit down and have a chat. It's an opportunity for our volunteers and friends to have a genuine and non-judgemental conversation, and helps to provide a person doing it tough with a positive connection back to their community. What will people wear while their clothes are being washed? A lot of people think that our friends only have the one set of clothes, but this normally isn't the case. Only about five percent of people experiencing homelessness actually live on the street, so many of our friends - along with their clothes - bring things like bed sheets, towels and blankets to wash in our machines. Do you connect your friends with other service providers? Absolutely, it is our mission to Positively Connect Communities. We acknowledge that clean clothes, a warm shower and conversation will not end homelessness, but it's a start towards helping a person reconnect with the community. Once a volunteer builds a relationship with a friend, it becomes easier to link that person up with relevant service providers to help them get back on their feet. Where does the name 'Orange Sky' come from? The song, Orange Sky by Alexi Murdoch, was a huge inspiration for our co-founders, Nic and Lucas, when they first decided to build a mobile laundry van.  The entire message of the song is about 'helping out your brothers and sisters', which is an important part of what we do at Orange Sky every day around Australia. Is Orange Sky religiously or politically affiliated? Orange Sky has no religious or political affiliations. Our volunteers spend time on shift connecting with our friends on the street through genuine and non-judgemental conversation, and our mission is to Positively Connect Communities through a free mobile laundry and shower service. How do you generate funds to operate? We receive income from a number of different sources, including donations from the general public, corporate sponsorships and partnerships, private donors, grants, commercial contracts and merchandise.